Sammy Black goes down in history as possibly the greatest player ever to don the Green shirt. A true Plymouth Argyle legend, he holds club records that are unlikely to be surpassed: Argyle's all-time leading goal scorer with 182 goals, and, having graced the field 491 times, the second highest appearer for the club. In 2004 he became an inaugural member of the club's 'Hall of Fame' and was selected by fans for the Team of the Century. Born in Motherwell, Black was discovered by Bob Jack playing for Kirkintilloch Rob Roy in Glasgow and arrived at Argyle in 1924, scoring on his debut - a 7-1 thrashing of Brentford. At just 5ft 6in and sporting size 4 boots, the 'Mighty Atom' epitomised the winger of the day, small, fast, tricky, and with dazzling skills. He rarely tracked back and his heading ability was always guaranteed to amuse, but wingers of his era were not expected to do anything other than terrorise full-backs. It was his eye for goal that made him stand out; he could shoot with either foot and many of his goals came from unlikely angles. Black became the darling of the Argyle crowd - one of his idiosyncrasies was to play with a cigarette stub tucked behind his ear - and his partnership with inside-left Jack Leslie became legendary. Their clever exchanges would leave defenders chasing shadows. When transfer rumours reached fever pitch, a 'Sammy Must Not Go' campaign sparked demonstrations and public meetings. 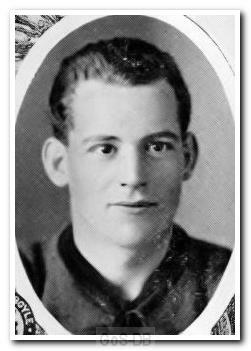 Black seemed destined to remain an Argyle player, but did finally leave Home Park in 1938, in the twilight of his career, playing just five times for Queens Park Rangers before returning to Plymouth during the Second World War to work in the Royal Naval Armament Depot as a storehouse assistant. In 1966 he was awarded the Imperial Service Medal for his contribution to the depot. Sammy Black passed away in 1977, in the city he had made his own. How, one wonders, would some modern coaches assess Sammy Black? He would probably get low marks for his work-rate, his support to the defence and his heading ability (on occasions he had been known to dodge the high ball). At the other end of the scale, he must deserve top marks for his ball-control and match-winning capabilities. 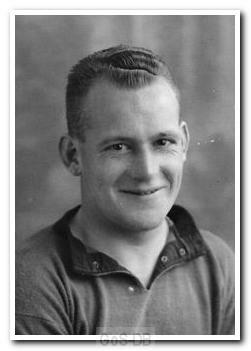 There was not much of him — 5ft 6 1/2ins, 11st and size-4 boots — but he certainly lived up to the nickname of the `Mighty Atom' which was sometimes bestowed on him. 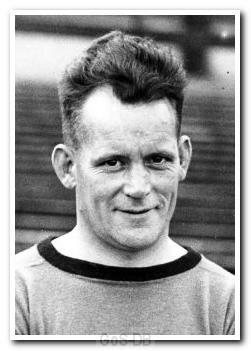 Bob Jack discovered him playing for Scottish junior side, Kirkintilloch Rob Roy, on the other side of Glasgow from his Motherwell birthplace. He arrived at Home Park in the summer of 1924, stepped into the League side soon after the start of the new season and was a permanent fixture in the team until he left the club in 1938 — virtually at the end of his career — to join Queen's Park Rangers. As he played but a handful of games for QPR before the outbreak of the war and then returned to Plymouth to work at the Dockyard, it can be reasonably claimed that only his Argyle career matters. It was the partnership which he formed on the Argyle left wing with Jack Leslie which older followers of the game remember. There might be legitimate differences of opinion about whether, as individuals, Leslie and Black have been the best in their positions during Argyle's history, but there is little argument that they have never been bettered as a pairing. Argyle used Black mainly on the left wing but he also played a number of games in the inside position and on the opposite flank. It did not matter a great deal where he played because his control was so good and he was such a beautiful striker of the ball with either foot. Time and again, Sammy Black would find the back of the net with a shot from an angle which other players would have considered impossible. So precisely and so often did he place his shots just inside a post, that the story went around that he aimed for the stanchion supporting the net. Only Black could say how much deliberation went into that shooting. It is more likely that he had a natural gift, amounting almost to genius, for doing the correct goalscoring thing. Naturally, he was the idol of the Home Park crowd and a rumour in the 1920s that he might be transferred to another club led to public meetings and a 'Sammy Must Not Go' campaign. Sammy did not go and his aggregate totals of goals and appearances still stand as an Argyle record. There was just one other fault in Sammy which might earn him a black mark in the coach's book. He hated taking a cold shower following a hot one after a match. *Extracted from Plymouth Argyle - A Complete Record 1903-1989 by Brian Knight [ISBN 0 907969 40 2] and reproduced with his kind permission.